Pet Heaven Funeral Home offers a complete line of after-life care products for your beloved pets. 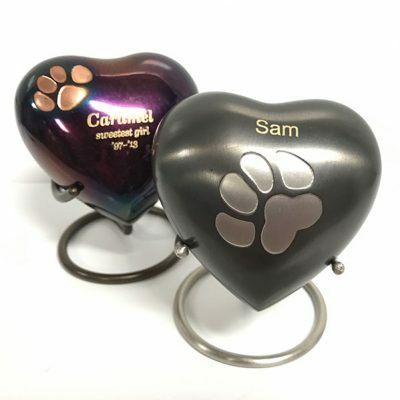 Choose from a wide variety of jewelry to help memorialize your pet. Please call us at 716.662.5677 with questions about the products we have available or to place an order. You are always welcome to visit our showroom during business hours to get a first-hand look at our broad range of after-life products.